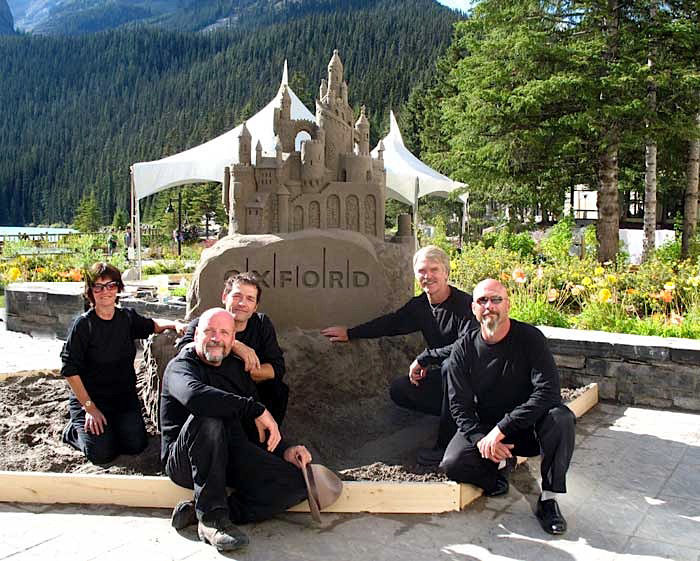 Sand sculpting is an easy, light hearted way to challenge employee’s dynamics within a group, working together towards a common goal. On a typical day, we would spend 2-6 hrs sculpting outside and compaction is done prior to the start-up time, the sand is ready to sculpt (depending on the group interests). Sculptors would then give their tricks of the trade and by the end of the day, the group should have a small sculpture before them. We had the opportunity to have our first team-building event with the Oxford Group at lake Louise. We had a group of 100 which we divided in 10 equal teams set up under tent cover. It was a full 2 hours that went by very fast.